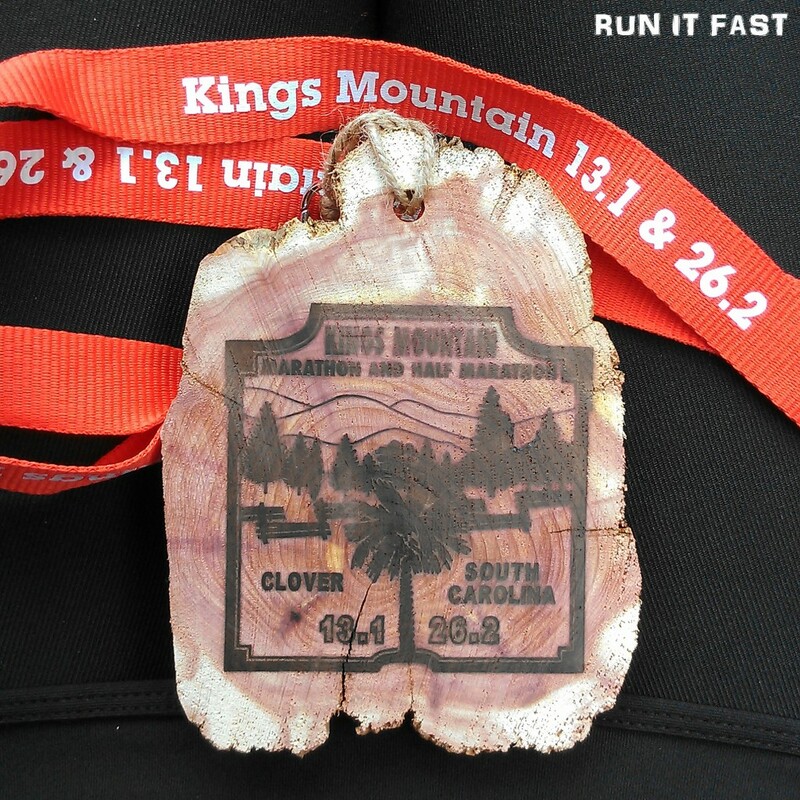 Tag Archive | "Christy Bowers"
This is the unique finisher’s medal for the Kings Mountain Marathon and Half Marathon that was held on April 27, 2013 at King’s Mountain in Clover, South Carolina. Each medal was handmade by the RD’s family and per Christy “the cedar smell is fantastic”. Very cool! 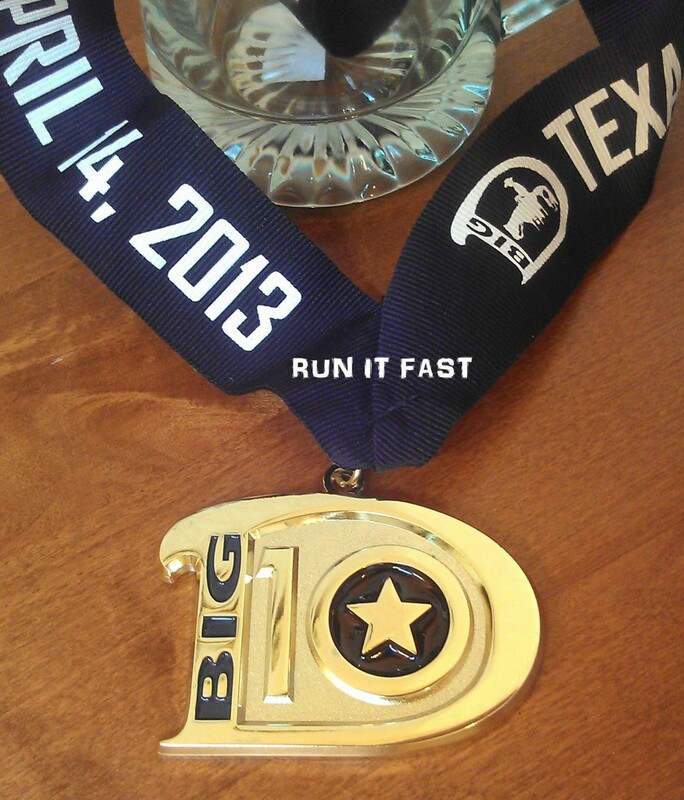 This is the finisher’s medal for the Big D Marathon that took place on April 14, 2013 in Dallas, Texas. Years Running: 4, on and off. Was forced to take a break after a major car accident. 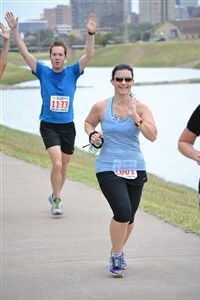 Favorite PR: Tyler Rose Half Marathon. How my knee survived that hilly course, I’ll never know! 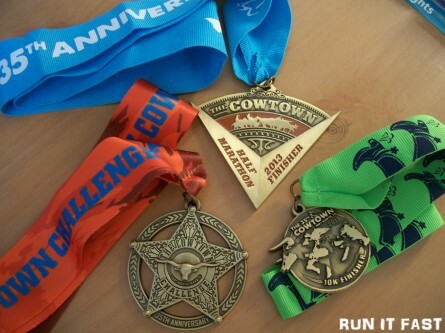 Favorite Race: That’s a tough one! Any race in NOLA; fun atmosphere and I get to visit my sis. My daughter is in competitive cheerleading. There was an athlete at her gym who was chosen as the Junior Race Director for the (then named) Dallas White Rock Marathon. We put together a relay team to show our support for her, the race, and the beneficiary, Texas Scottish Rite Hospital for Children. After that, the running bug bit! Everyone inspires me; from the elites to the beginners to the wanna-starts. There is something to be learned from each one. They help keep your eyes on your goal and your feet on the ground. The wine valley in Oregon was stunning, but NOLA is the most beautiful to me. About 2-3 hours before a Sweet-n-Salty Almond bar, then an hour or so before a NutriGrain cereal bar. Probably not the wisest choices, but I have a hard time eating that early in the morning. After a half, there is definitely a margarita (or two) with my name on it! I race to stay healthy. I race to prove my doctors wrong. I race to inspire my daughter, friends and family. Even though my daughter is an athlete, it’s hard for her to wrap her head around running, even just a mile. Her school holds an annual 5K, and they run regularly in P.E. class. I picked her up one day and she beamed while telling me how far she was able to run. Mission accomplished! Both. There’s a lot of camaraderie at the smaller races, but a wider range of ability levels at the larger ones. In October of 2010, I was in a high-speed head-on car accident. I sustained numerous injuries to my knee, hand and wrist, back and neck (just shy of being in a halo). 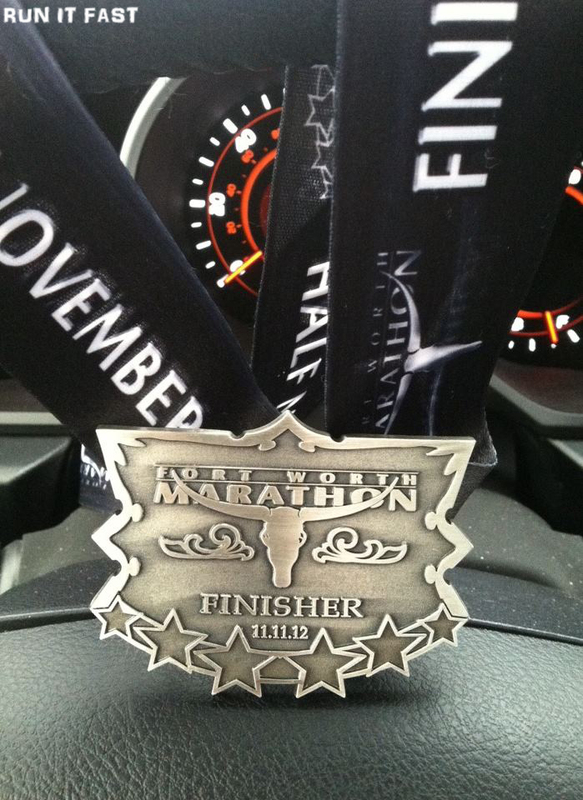 5 and a half months later I completed the Dallas Rock-n-Roll Half Marathon. AMA, of course, and it wasn’t easy, but I did it! 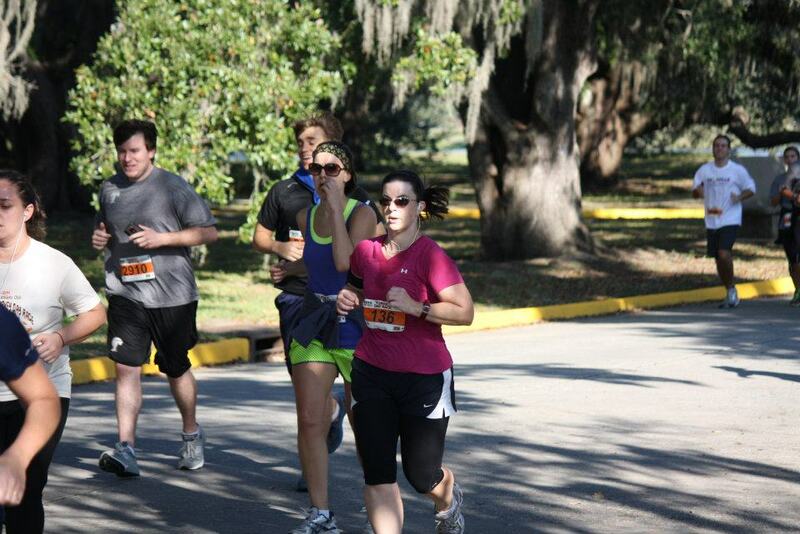 Running was what kept me focused and determined during recovery. 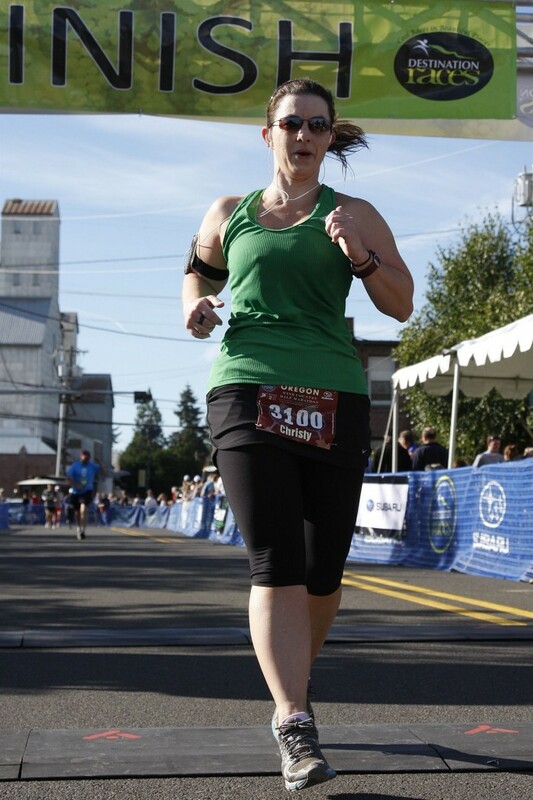 Plus, it didn’t hurt that one of my PTs is a runner. I’m not trying to earn pity points. 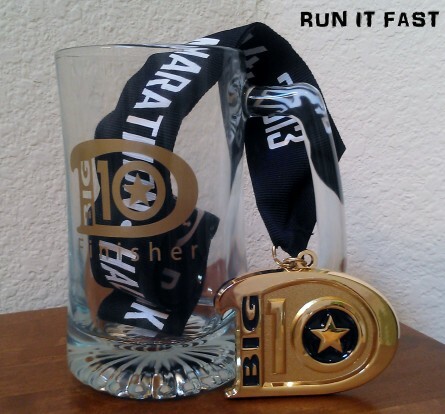 I’m trying to prove to others that you don’t have to be “100%” to run. Just get out there and go! Make yourself proud, and then others will be proud of you. Lastly, If my twitter handle wasn’t a clue, I LOVE to bake. I’d bring cupcakes to RUTS if people didn’t think it was weird. (I may bring some anyway, if at least for myself, ha!) Being a former personal trainer, I want people to know that you can indulge every once in a while and still be healthy and fit. Thanks for sharing Christy! 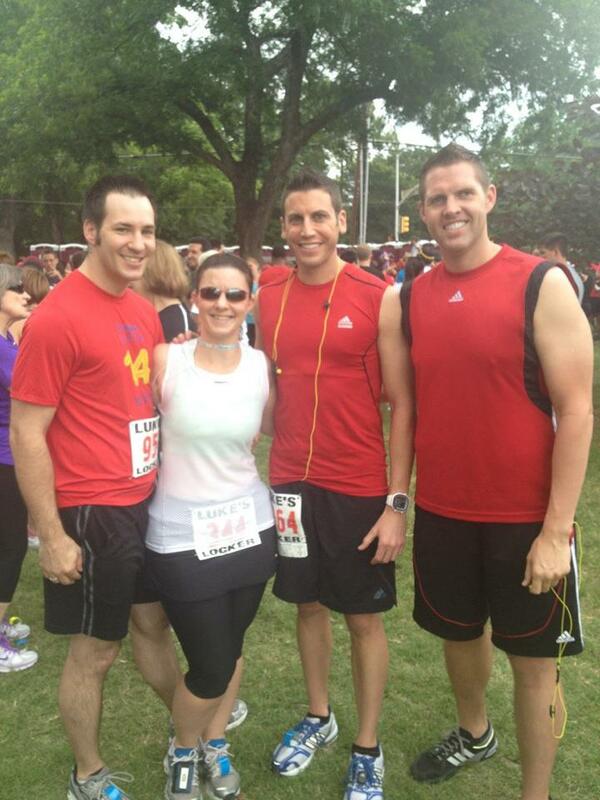 Good luck with your double race day and Run It Fast! 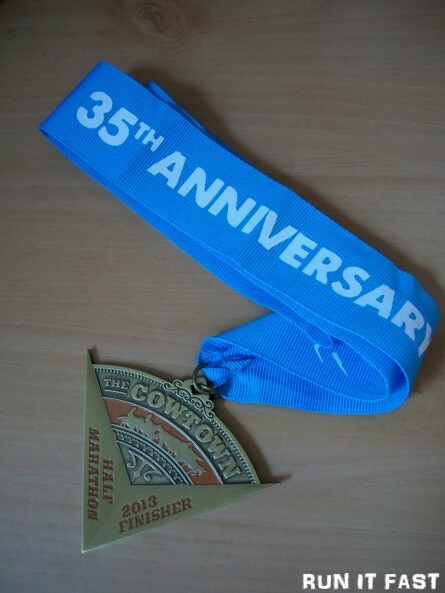 This is the medal for the Fort Worth Half Marathon that was held on November 11, 2012 in Fort Worth, Texas. 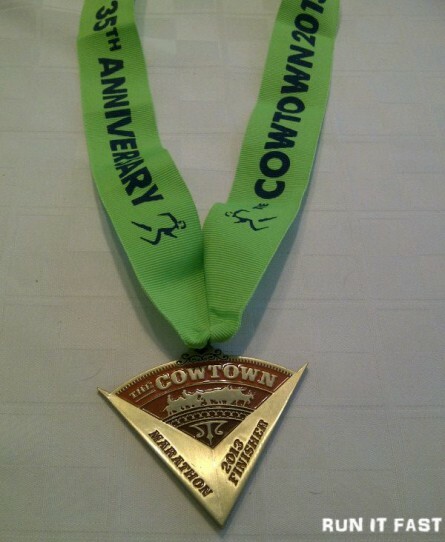 It looks like the marathon, 20 miler, and half marathon all had the same medal with the ribbon being different for each one. 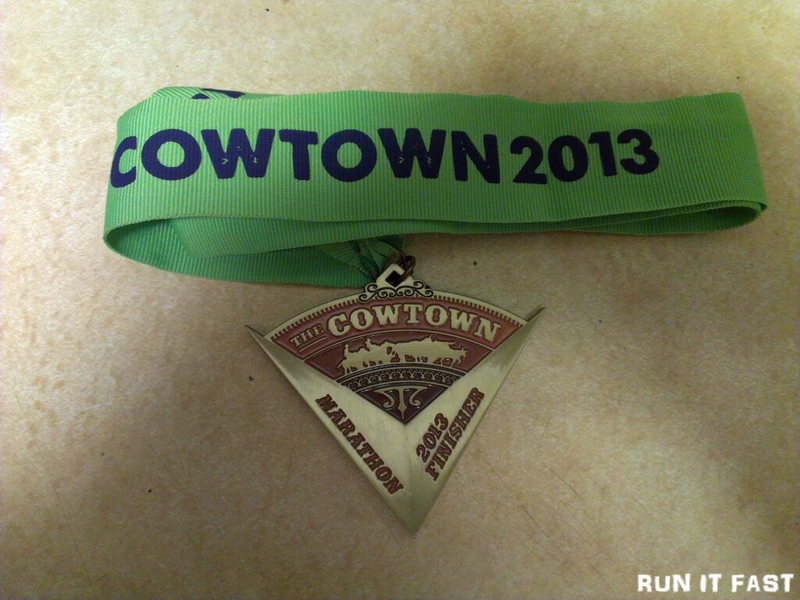 It’s a great medal though and it is also a buckle. 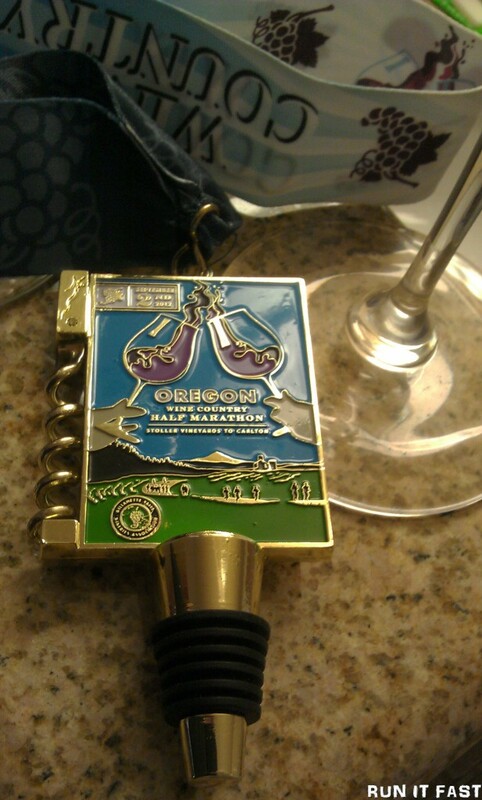 This is the medal for the Oregon Wine Country Half Marathon that was held on September 2, 2012 in Willamette Valley, Oregon. 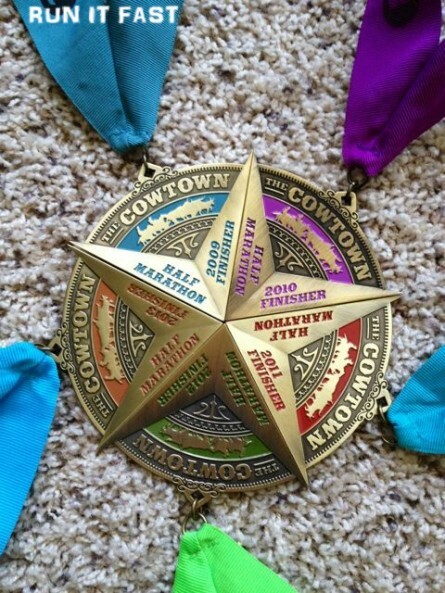 This is an awesome medal! 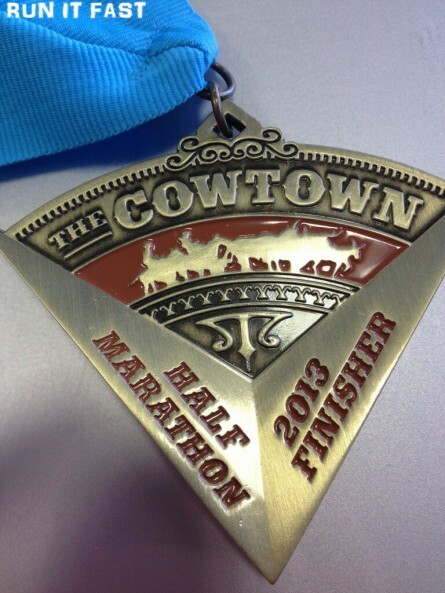 It’s colorful and incorporates all the elements you would associate with this half marathon. 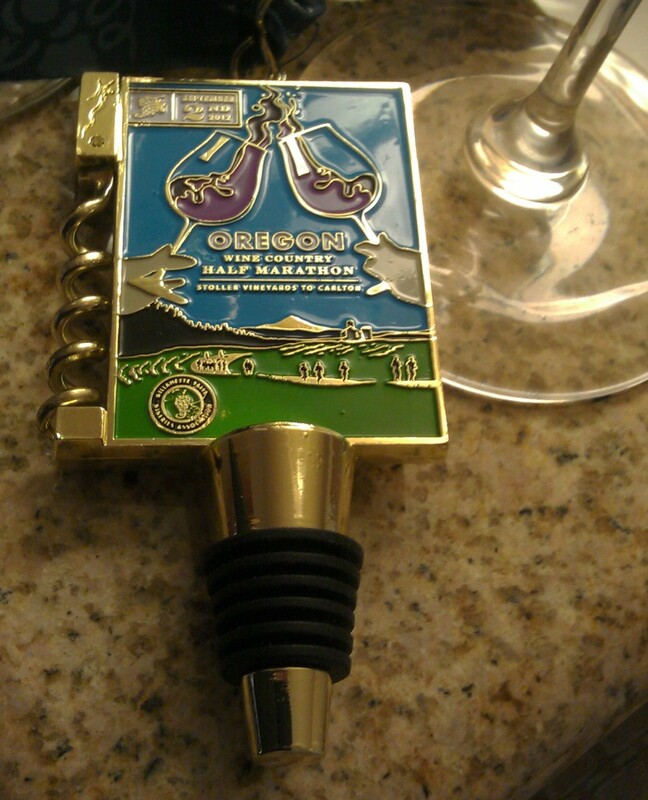 And as an added bonus, it’s a stopper and a bottle opener as well!